I was recently contacted to review the limited edition Band-Aid tin featuring our favorite mouse. Disney and something I can really use? Of course I said yes. I was thinking about how I'd write that my oldest daughter loves her Disney "bug bands" or "boo boo bands." And she does. I have a stash of princess and Toy Story Band-Aids in the girls' bathroom. And sometimes she just needs that colorful bandage after a fall, even if Mama doesn't see a boo boo. While the tin was sitting in my laundry room waiting for me to write this, I cut my finger on some broken glass in the trash and needed to cover the wound quickly. I grabbed the Band-Aid tin and opened a large bandage. It happened to match my grey retro Mickey shirt perfectly. Just thought that was fun and I decided then that these were mine. 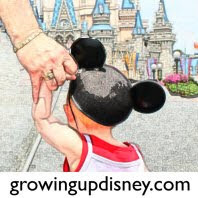 Disney fans know that kids aren't the only one who know Mickey means fun. If you are reading this blog, you are probably not all that subtle about your love for the Mouse. The tin is great. Remember when those were standard? Well now Band-Aids come in a thin cardboard box. I'm sure that's cheaper to produce, lighter to transport, and will break down in a landfill. So, it's a good thing. However, I love that we now have the chance for a reusable container emblazoned with Mickey. Confession: I already have about three (cardboard) boxes of these Band-Aids. I saw them once at a big box store and stocked up. And yes, they are my personal supply. So I'll be refilling my collector's tin from there. It will make storing my Band-Aids convenient and take a little of the sting out of minor cuts and scrapes. Thanks to Smiley360 for providing me with a Band-Aid Limited Edition Mickey Mouse Collector's Series Tin for my review. I did receive free products, but these are my honest opinions. If you would like to get your own Band-Aid Limited Edition Mickey Mouse Collector's Series Tin, visit here. I bought a Mickey Tin of band-aids and a refill box as well. I love those bandaids, but mine weren't in the tin! I'll have to keep looking.